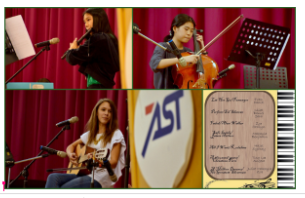 Thank you to those parents who joined us on Monday for the Chamber Music Club Concert. The students were fantastic! 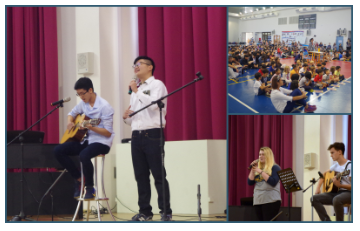 Evan, Daniel, Juliat, Sara, Zoe, Carilyn, Makayla, Ben, Hazel, Syndey,Ting, and Angela amazed us with performances across various instruments and with vocals. 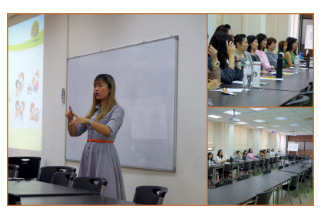 Thank you to those parents who joined us for the parent workshop this week with our guest counselor, Ms. Wu. The event was very well received. Also, thank you to those parents who joined us for the Parent Association meeting that afternoon. Next week we are hosting our Thanksgiving celebration on Wednesday. We will run a half-day academic schedule in the morning and spend the afternoon together as an extended family. 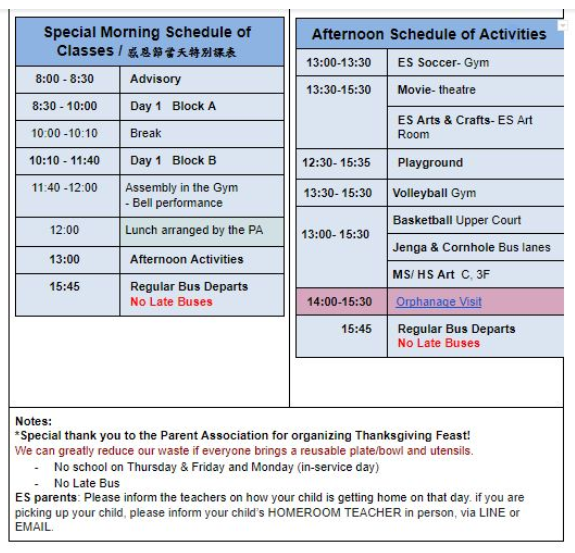 Please join us for the Thanksgiving lunch and the afternoon together-time. Parents are encouraged to take their children with them when they finally do depart. 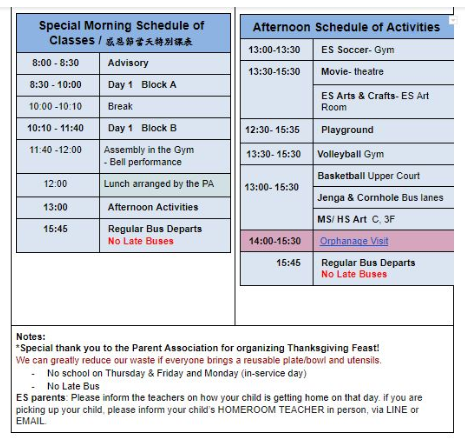 Following the Thanksgiving celebration is a long weekend for everyone, especially the students. Teachers will be working on Monday during an in-service day and classes will resume on Tuesday for students. Finally, the club survey for the spring is now available. Please check with your students and make sure that they indicate their club and sports preferences. To our ES parents, we have not shared this survey with your students yet. We would like you to have that conversation with your children. The survey is due Tuesday, November 20th.